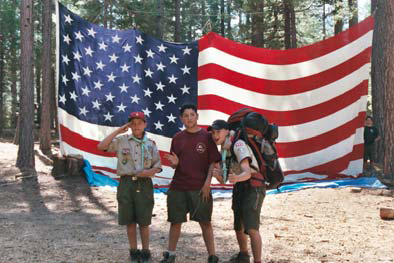 The troop has been actively serving Oakland since 1961. We are sponsored by the East Hills Community Church located at 12000 Campus Drive. Meetings are held weekly, each Tuesday night from 7:30 pm to 9:00 pm at East Hills Community Church. Boy leaders are required to be at the church no later than 7:15 pm to set up and prepare the room for the meeting. Occasionally, there is a short get together of the troop leadership after the regular troop meeting to evaluate and/or plan an activity. However these never last beyond 9:15 pm.